Expert search engine optimisation lead by Australia's number one SEO consultancy. Not only do we provide you with free quotes, but also provide a free website analysis, competition analysis and a tailored SEO campaign. We specialise in getting your website to Page 1 of the Google search ranking, with affordable search engine optimisation. How Does Organic SEO Work? The term Search Engine Optimisation refers to setting up your website in a way that search engines like Google and Bing, regard your site as being useful to people and therefor ranking it high in the Google organic listing search results. The websites that rank highest in the Google search results are those sites that have both quality content on the site, and a solid amount of affiliate back links from other websites pointing back to their website. Here at Rank One SEO, we are digital marketing specialist's and are a results driven SEO company that have developed the best long-term approach for the ever changing SEO world. We know how to not only give search engines what they want, but more importantly give people the answers and the services they are looking for. This includes highly useful, easily accessible, interesting information that keeps your customers coming back for more. Search Engine Optimisation is a very complex process that primarily encompasses content creation and back linking. Inside these two main areas there are things like on site website optimisation, on going competitor research, affiliate partnerships, brand building, keyword research, conversion tracking and quality link building. Googles is continuously filtering through the estimated 1 billion websites trying to find the best and most relevant content to present to its users that Googling day in and day out. Instead of trying to fudge the search results with tactics known as black hat in the SEO world, why not just give the search engines what they want! A good SEO services consultant will produce relevant and useful content, and as a result produce the highest results for SEO campaigns. Questions you need to ask yourself are things like, Do I have anyone in my company that is capable of writing useful information related to my business? Do we have any offline white paper documents or content that could be typed up and used online? If the answer is yes, then great! We will coordinate getting this content to a standard where it is deemed as useful and valuable to users and get it published. Your SEO Results Time frame. There are no shortcuts to a good SEO campaign. Well none that last anyway. Search engine optimisation is a complex combination of the technical setup of your website, as well as the creation of quality back links pointing back to your website. This analysis, and setup cannot be achieved overnight, no matter how many staff you have. If even if it could Google would see you as someone that is trying to manipulate the search results and you will most likely receive an algorithmic penalty or worse a manual penalty. When good SEO services are in place, what you will see is continual growth in traffic to your website from month to month. A good SEO company will help you identify your goals right from the start. Both you and your SEO consultant need to be on the same page, with clear tangible results you expect from your campaign. Some SEO companies have very little contact with you and head off blindly doing vague 'SEO services'. At Rank One SEO we work with you in at the beginning of your SEO campaign to clearly identify your goals, whether they be to increase traffic, increase sales, or to increase your brand visibility using PR, online marketing and local website marketing. What is Your Keyword Strategy? A keyword strategy involves us doing a thorough investigation of, and creating a list of all the keywords and search terms related to your business and website. Each keyword and search phrase will have an average monthly search volume statistic tied to it. By collating and analysing this list of keywords, we find the keywords we recommend targeting in order to bring you the most website traffic. Ranking for many keywords is usually better than ranking number one in Google for a single search term. During this SEO process we create a list of 'long tail' keywords, which are low volume keywords. Client always as us, why would I want to rank for low volume keywords? The answer is, because they are much easier to rank highly for, because everybody else is fighting for the top 5 keywords related to their business niche. A good organic SEO consultant will advise you on which keywords are the best to target and explain why. We specialise in helping small business search engine optimisation. Are You Planning on Re-Designing Your Website? Unfortunately, a large majority of our digital emarketing business comes from businesses like yours, that have revamped their existing websites. They have hired a 'website design specialist' or company that only deals in creating good looking, slick websites. These web developers have no idea about organic SEO and when the new website goes live, all their existing rankings drop heavily and their business comes crashing to a halt. This is because the new website, although looking new and fantastic, has all new 'thin content', pages called 'home' and 'services', essentially not giving Google any idea what the site is about anymore. If you have an existing website that is currently generating good traffic, be very careful who you choose to revamp your existing website. Here at Rank One SEO, we have been creating stunning looking WordPress, OpenCart, and Joomla websites for over 20 years. When have the know how when it comes to all the hidden technical aspects SEO and apply them to your website as part of our web design packages. If you are someone that has found us because you have had your website redesigned and now dropped dramatically in the search rankings, then give us a call today to get an emergency SEO revival campaign underway. There are many things you need to take into consideration when choosing an Australian SEO company. The poor old used car salesman has been branded as 'con man', or 'sleazy' tactics in the past. Compared to most SEO agencies, the use car salesman is an angel! They rely on you to fund their decked out CBD offices, with standing desks, activated almond bowls and to fuel their thirsty Porsche's. They use scare tactics by playing on your lack of knowledge in digital marketing to get you to sign with their large firms. There is an article put out by sloanreview.mit.edu that explains how many businesses are in a "digital dilemma" whereby companies make tech-focused investments only to find that those investments often impede their ability to connect with customers. We have compiled a list of things to consider when choosing your SEO and internet marketing services. Does the SEO Company Offer Guaranteed Results? If the Australian small business SEO consultant you are talking to guarantee's your that you will be in position 1 by a specified date, then you need to be concerned. It is impossible to know what the exact effect of any SEO campaign is going to be. There are too many variables that come into play with every industry and target location, that affect how Google will rank a website. If an SEO expert agency is guaranteeing you results, the first question to ask is, what keywords they guaranteeing? If they are guaranteeing they will get you ranked for keywords that nobody Google's then it will be easy to rank for these keywords, but they will bring no business to you. Ask your SEO consultant exactly what keywords are being guaranteed and more importantly how many people search these keywords a month. Does the SEO Company Work with Your Competitors? Large Australian SEO agencies have literally hundreds of clients on their account. Most are just trying to consume as much of the pie as they can. They will often have multiple clients that are in the same niche in the same area. If you were an electrician in Brisbane, looking for SEO services, would you be happy signing up with an SEO agency that already had another electrician in Brisbane as their client? I'm sure you wouldn't too impressed. As a Rank SEO client, your business niche and work territory is protected. Once we have a client in a particular niche in a particular area, we do not accept any more clients for that territory. Whether it be a small territory like Kingaroy in Queensland, or large cities like Sydney, or Melbourne. Does the SEO Company Buy Backlinks? Back linking is a big part of search engine optimisation, that is a fact. It is essentially a big popularity contest. He who has the most links is king. Well its not quite that simple otherwise everybody would be king. Every backlink and referring domain carries a certain amount of link juice. Obtaining low quality, spammy back links are useless and not only don't help your Google search results rankings, but can even get you a Google penalty. Receiving a Google penalty will cause your search rankings and website traffic to dramatically decrease and in some cases your website will be removed from the Google index all together. The number one rule is, do not buy backlinks. Ask your SEO consultant if they buy backlinks and if the answer is yes, then you need to say goodbye. How to Steal Your Competitors' Traffic. The investment you need to make in your SEO campaign is governed by how much effort your competition is investing in their SEO campaign. The more people fighting for the same piece of cheese, the less cheese there is to share around. In general terms, if you live in a location like a big city where there are many businesses like yours, then the amount of investment you will need to make in an SEO campaign will be high. That is why it is crucial you partner with an SEO consultant that can generate maximum website traffic. Pick the most effective keywords to rank for. These keywords are not always the keywords with the highest volumes. If one single keyword is highly contested and another bunch of keywords are less contested, then in some cases it is better to go for the keywords that are less contested. Collectively they have the potential to bring the same amount of traffic, if not more, than the one highly contested keyword. We use highly sophisticated keyword research tools to analyse your business, industry and most importantly, your competition. Our SEO tools find the best keywords to target to generate maximum website traffic. We help you pick the best keywords as well as long tailed words. If you want to dominate your niche then you need to target them all. We monitor your targeted keywords on a daily basis in local and international search engines. It is important to monitor if you are moving up or down in Google rankings and we adjust your SEO campaign accordingly. We monitor who the most dangerous competitors are to your business. We use SEO link intersects to analyse what your competitors are up to and asses whether we should be going after the same digital marketing opportunities as them. Our advanced software programs allow us to to spy on your competitors backlinks. We can see exactly where they got their back links, link by link, domain by domain. Then we assess the domain ratings for their backlinks and finally, determine whether these are opportunities we wish to pursue for your SEO campaign. Rank One SEO's Customised SEO Solutions. Here at Rank One SEO we get many inquiries for SEO, and one of the reasons for this is our reputation and the other is because we customize each and every search engine optimisation package to suit our customers niche, competition and location. 1. What Elements Are Used to Create the Right SEO Strategy? 2. How Do You Price Search Engine Optimisation Services? Everything we do at Rank One SEO is highly customised, dynamic and flexible. It’s virtually impossible to provide an upfront price in an initial phone call, because we don’t have any cookie cutter SEO packages. The first thing we do is conduct a thorough website and competition analysis, which allows us to understand your business in order to customise the best SEO services for you. When we conduct our initial research, we are looking to evaluate how much and what pieces of our digital marketing services are going to need to be applied in the 6 key areas of SEO. Not every client needs to do every single one of these elements. More often than not it is a combination of some of the 6 SEO components. Some clients use all of them, and some only require a couple. This depends on where your business location is, the size of your business, the industry that you’re in and how competitive it is. A large factor is also your budget and how aggressive you want your campaign to be. The first key element is market research, and it is absolutely crucial. Market research needs to be thorough and accurate. A lot of research around your industry, the keywords that you should be targeting, what your competitors are doing, and your current search engine rankings, along with your current visibility online. That really sets the direction for where you want to go with your SEO strategy. The second component is the technical side of SEO. This involves how each page is set up on your website and determines how well Google can crawl your website. This is obviously very important because if Google can’t figure out who you are and what you do then they aren’t going to index your website for the correct keywords. This will result in no website traffic and poor results for your business. There are a few technical components that we need to make sure are checked. We will typically start with a technical audit of your website and review where your website currently stands, and highlight any issues that might be preventing Google from crawling it or indexing it correctly. Once we identify all the issues with the site, we then start fixing or changing the website accordingly. A lot of these things you may not see. They’re often in the back-end side of the website but some you will. Often you do need a great web designer or developer on board to assist with some of those elements. Once we know Google can read the website correctly, we move onto assessing the content of this site. Google is looking for websites and pages that provide the public with useful and valuable answers to questions and services. Content is a critical part of any SEO strategy. It’s really important because you need to make your website relevant and engaging to your audience. This is how Google identifies whether your website is going to add a lot of value to those people that are searching for your services. Content need to be written professionally and not keyword stuffed. The fourth element in our campaigns are about links and promotions. No Google website promotion campaign can succeed without link and promotion and this is a big difference between good SEO and bad SEO. Bad SEO has very low quality, spammy, dodgy backlinks. Good Google search engine marketing involves getting backlinks from trusted high-quality websites that are closely related to your business niche. The SEO strategies we use here at Rank One SEO are all based around good quality links. The way in which we build good quality back links is by creating great relevant useful content and taking those out to other relevant industry websites, and presenting them as useful content for their websites. As an example: If your business sells fishing tackle online and you created a great piece of content based on the latest fishing rod designs, then we could potentially get other industry websites and user forums associated with the fishing industry, sharing and linking to that piece of content. Google is going to see that that’s a relevant link for what you do. On the other hand, if you were to create links to websites related to fast food, then that would have no value to your website ranking, because it is not related to fishing. The fifth element in our campaigns is social media. This is essentially promoting your website, content, services and product on social media platforms like Facebook, Twitter, and Instagram. In addition to that we evaluate your Google+ profile, your Google My Business profile and the reviews that you have. This area includes sites like Hotfrog, True Local, White Pages, Yellow Pages and any areas online that people will be coming across your brand. It is very important that you have a consistent presence across all of these websites as well as your own website. The last element in any good campaign is conversion rate optimisation and usability. This is not always easy to gauge and depends what type of business or website you are. If conversion rates are measurable, then it is crucial to do so in order to maximize the conversions of all your website traffic. Conversion rate optimisation is about maximizing the small areas in order to get someone to take the action that you want. This could be them purchasing a product online, watching a video or downloading an eBook. We always test a range of different approaches to see how the public react. The mobile usability side of your website is very important because you’re going to get a range of devices to your website. Once again, we are looking to add valuable resources to the public. Google is looking for the sites that add the most value. If we can give people positive experiences and give them great content that they enjoy reading, then Google’s going to pick up those positive pages. That is a summary of the key six components that go into a SEO strategy. We must stress again, these are not necessarily built into every SEO campaign. It is always a mix of some more than others. At Rank One SEO, trust and transparency is extremely important to us and we always try to explain to customers exactly what we are doing and the purpose and desired result of undertaking any action. Our goal is rank your website higher on Google using natural search engine optimization. All of our digital marketing services are based on a progressive timeline. An SEO service can be anything from one off projects to aggressive 3 month, 6 month, and a12 month campaigns. This depends on your goals, your business, your competition and the goals you are trying to achieve. The components of any SEO services are always broken down into modules from month to month. The first month always involves market and competitor research, which highlights exactly what we are up against. The second month usually involves the website technical audit and content evaluation. This is where we check the quality and quantity of your existing content and put forward recommendations on how to improve improve search results by expanding your content. How do you eat an elephant? The answer is, one mouthful at a time. This is essentially how we implement your digital marketing strategy. Breaking up all the 6 key SEO elements down into a digestible and goal driven timeline, with accurate pricing, so you know exactly what we’re doing, and what results to expect. 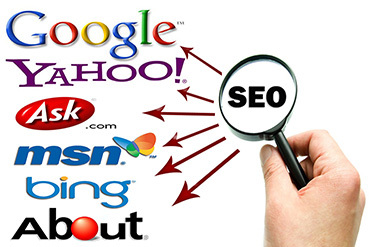 We believe that that will give you a lot better value that the large mega rich SEO agencies. We truly make sure we understand our customers businesses and goals. Unlike large agencies that use scare tactics in order to extract the most amount of money out of you for the least amount of work. This is why they force you into signing lengthy contracts that you cannot get out of. SEO is a crucial part to any business in the modern era. If you do not have an online presence moving into the digital age, then your business is going to suffer immensely in the future, if not already. Remember good SEO is an investment and once properly implemented, you will reap the return on investment. When you create a startup business, you have a dream and want everything to work perfectly. In the beginning outlay business expenses are high are you are looking for value for money. Unfortunately, one thing that most startup small business owners forget is that lack of experience always leads to mistakes and failures. You must not be afraid of such failures, instead learn from them and learn from others and constantly work to ensure that you attain success one day. My grandad always said, “your last failure is you best lesson”. Search engine optimisation is a necessity for any business, including start up businesses. There is no point having a website that nobody can find. Therefore, in order for a modern small business to succeed, SEO needs to be at the forefront of any small business plan. We have collated the 7 main reasons why startups fail at SEO. There are some simple solutions to some of the problems, to help you avoid making the same mistakes and create smarter search engine optimisation strategies. 1. Not Knowing Your Target Customer. One of the biggest mistakes made by startups is that they fail to specifically target their potential customer base. Sometimes that age old part of our caveman brain comes into play called greed. Greed evolved many millions of years ago as a part of our evolution, when we were on the savanna and needed to gather as much food as we could in order to sustain in times of famine. We essentially evolved through periods of feasting and then periods of famine. In the world we currently live in, this is no longer a problem for most of us, but unfortunately, we have carried over this genetic evolutionary trait into the modern world. How does greed apply to startup businesses? They end up targeting a global or national audience instead of focusing in on their local audience. Many startups and small businesses believe that their local consumer base is too small to sustain the leads and sales they require to keep their business running. Once we provide a site, competition and consumer analysis, their options change. At the end of the day, the bigger your target audience, the bigger the challenge your digital marketing and SEO campaign is going to be. If you are smart, you will target an initial local audience or city, and once sales are rolling you can expand to bigger or new territories. If you want to target the right customers, make sure that you do ample market research before launching your startup, new product or service. Knowing the kind of people you are targeting, their age group and tastes can go a long way to help with SEO efforts. 2. Thinking that SEO is a One Time Deal. Most startup owners have a misconception that SEO is a one-off exercise. You just hire the experts, aim for a specific rank and then stop the work when you get on the first page of the search engine results. This is a myth, and if you come across any SEO consultant pitching this as an affordable SEO approach, run in the other direction as fast as you can. SEO is not a one-time deal. 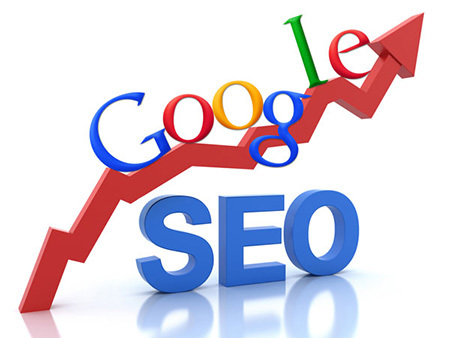 SEO involves constant work to obtain sustain great results. Not doing so will leave inevitable leave you sinking to the bottom of the Google results abys. You have the option of hiring an SEO expert or like anything else in this world, learn it yourself. If you have hundreds of hours free then you can study how to perform your own search engine optimization and apply your knowledge to your new start up. Not checking the results of your SEO efforts can lead to big problems. If you don’t know which keywords are ranking well and which of them need more work, you might end up focusing too much on the keywords that are already ranking number one and miss out on the opportunity to increase the hundreds of other key words that may be associated to your business. There are many SEO tools out there that can help you track key words and other SEO statistics. Tools like Ahrefs, Moz, Majestic, and the Screaming Frog all have different features that will help you track your keywords and highlight which ones are performing well and which words need work. I must warn you, these tools are not cheap. Most of them cost several thousand dollars a year to use, which is why hiring an SEO consultant is not cheap. The setup and regular expenses required to keep any SEO business running are significant. If you are thinking about investing money in an SEO tool, make sure you do your homework and find which one is going to give you the best return on investment. Business is all about getting good return on investments and search engine optimization is no different. Some startup owners make the mistake of reading up a on SEO strategies on the internet and thinking that it sounds easy and they can be SEO experts. More often than not, they don’t get any good results for their business. One reason is search engine optimization is very complex and there is no one size fits all for each SEO campaign. The reason it, as startup business requires a tonne of time and effort by the business owner to be successful. If you are spending 12 hours a day investigating SEO techniques, then your small business website is most likely failing in the key areas you are neglecting. This is not the right approach. If you cannot afford a large full-time SEO agency, then look for the smaller SEO consultants to do your digital marketing. Some can off 2, 3, 6-month campaigns and some will work on an hourly basis. Some consultants are happy to show you have to do some of the work to improve your google search ranking. Most SEO experts would be happy to share their knowledge and even provide video tutorials that you can keep for yourself and use in the future. Every startup business owner needs to know that SEO investments, like any business investments need to be implemented carefully and in steps to garner results. More importantly, I use specifically the word ‘investment’, which by definition means to put money or time into something to gain profit over time. You should never trust an SEO consultant who promises instant results and asks you for a lot of money upfront in exchange for SEO services. Any consultant who promises to get you instant results in a couple of weeks is using unethical (or even illegal) practices like buying low quality spammy backlinks from link farms and is going to ensure you have a short-term gain and a lot of long-term pain later on. We all know you cannot pay for Google search rankings. Always do a thorough background check of the SEO person you are hiring and demanding a portfolio of past results. Conducting an extensive interview with technical questions thrown in might also help in finding the right SEO consultant. 6. Not Having the Right Website. Another reason why business startups fail is because that they don’t have the right website. Startups who are interested in SEO results must ensure that their website has a good user interface design, good technical structure, user flow, scalable fonts, and is mobile and tablet friendly. Your website should also have a fast load time as no one has the patience to wait for slow web pages to load. The website should not appear spammy with flashing advertisements from other websites. A few ads are acceptable; dozens of them are not. The distract the user from the products or services you are trying to sell. Hiring a great web design company and testing the website like a client’s perspective is a great way to ensure your website is set up from a front-end perspective correctly. There are also many back end technical aspects to making sure your web pages are SEO friendly. These include page title setup, meta description setup, URL names and most importantly, content quality and quantity. These back-end pieces need to set up to ensure SEO success. 7. Not Creating the Right Content. If you have done any SEO research, you will have come across the term, ‘Content is King’. Content is the new ‘black’ when it comes to SEO, and is key part of success for every SEO strategy. You content needs to be SEO-friendly, but more importantly, it needs to be relevant to your customer base, age group and unique! A big sin in SEO is copying content. This is known as content duplication or just plain old plagiarism. Not only does Google despise content being copied, but you are also putting yourself at risk of a lawsuit from the company or website you copied the material from. Copying content can also affect your reputation and brand image in your business niche. This also becomes a problem if you hire cheap labor to generate your content for you. You don’t know if they are creating unique content. A simple solution is to make sure you write all your own content, after all, you are the expert in regards to the information related to your business. If lack of time is a problem, then you can hire an SEO consultant who will work with you to create quality content pieces to move to the first page of the search engine results.